Whatever your budget we can assist you with your cabinetry needs for your new build or renovation. We will work with you to create a unique kitchen and cabinetry totally suited to your lifestyle — meeting your needs, requirements and dreams. Trust and honesty is the core of all of our business activities. We feel this promotes a close working relationship with each of our clients ensuring that your project runs smoothly – on budget and on time. Come and view the latest kitchen, bathroom and laundry designs in our showroom. We have a comprehensive range of doors, handles, hardware, accessories, splash backs and bench tops. Visit our Whitianga showroom, or we’ll come directly to your home. After listening and discussing all your requirements and needs, we will create an initial kitchen concept. Once your kitchen concept passes your approval, it will be refined into a final design and a quote will be given. 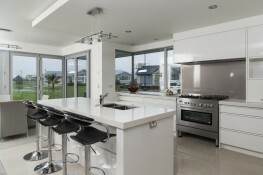 Using the highest quality hardware and water resistant board, your kitchen is custom produced on our Whitianga premises, from start to finish. Our team takes pride in their kitchen installation work and receive great satisfaction from a job well done - a happy client is always the best recommendation! Your Mastercraft kitchen has a 10 year Mastercraft guarantee that is fully transferable. View the project page and the before/after pictures by following the link to our website above for more inspiration! Kitchens and cabinetry designed for living - need a new kitchen or cabinetry throughout you home contact us! 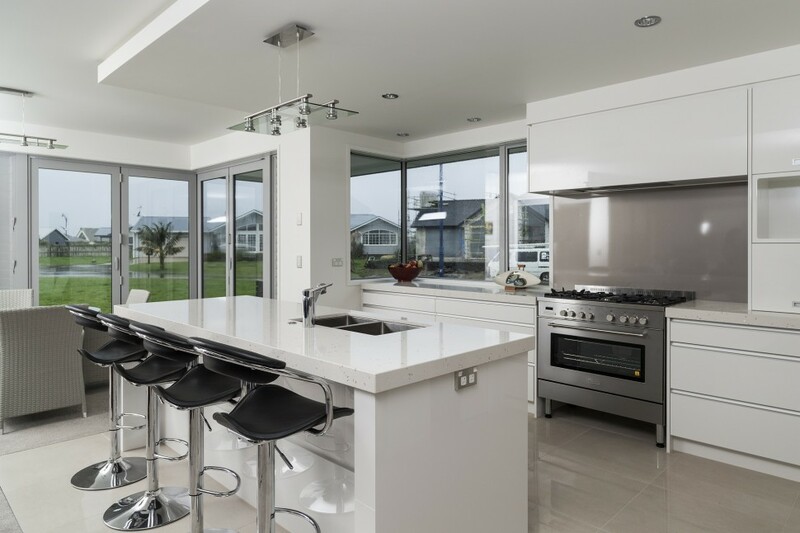 The design of a new kitchen always hold many options, but we have to say that Carol and her team at Mastercraft Whitianga, made the process a pleasure from start to finish, with sight visits and help from the early stages of our new build to completion was immensely helpful. The challenge for us was to create a new luxury suite for our Bed & Breakfast, which offered both a contemporary feel, but being practical for visiting guests who wished to prepare their own meals. The result was more than we ever expected with crisp clean lines and revolving corner cabinets that not only store everything away, but look stylish as well. 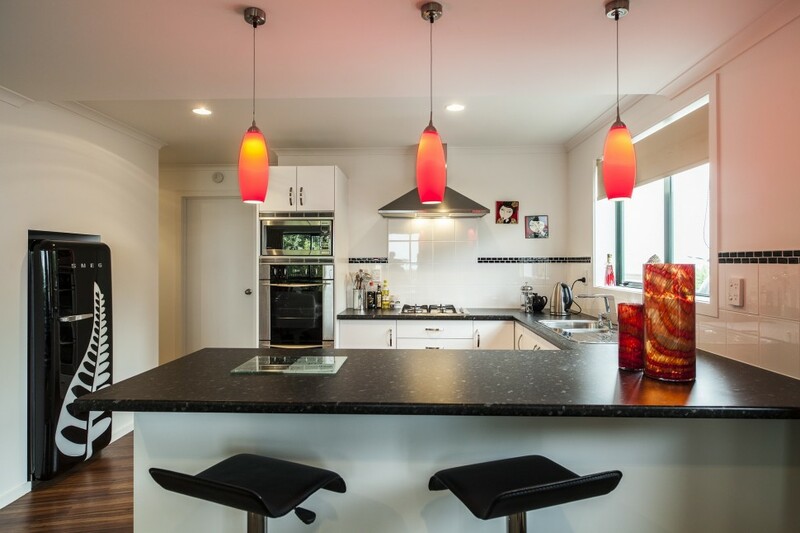 The Feedback from clients has been so rewarding and we know we picked the right team in Mastercraft Whitianga to design the Wow factor Kitchen for our needs, we would not hesitate in recommending Carol and her Team to create the kitchen of your dreams”. From the very first meeting we had with Carol at Mastercraft we felt like our ideas and plans were heard and understood. Designing a kitchen entertainment area for a purpose built accommodation facility required a few ideas outside the norm and we are over the moon with the result. Our dream of an efficient but friendly space has been realized and the ideas and concepts that Carol added to ours enhanced our original thoughts. The kitchen units for the guest suites add to the relaxed, informal feel we wanted to achieve. We always found Carol and her team to be efficient and friendly and are very happy to recommend them both professional and personal”. You made sure that you delivered a kitchen beyond all my expectations even though it was a busy time of year, your team worked in with all your commitments without error! So pleased with my new kitchen! Every time I use it I can’t believe how functional it is! I was so happy to work with your whole team and found you all so personable and listened exactly to what my brief was and went on to design what has turned out to be an enjoyable workplace. You also managed to help me finally choose my colours and bench top within budget. This was a old house that we renovated and left the kitchen to last as to me is the most important room in the house and I wanted to get it right, and that’s what you did for me . The comments from friends and family have been you got all this for that much!, and how it totally fits into the space, and the style of home that we have. I wouldn’t hesitate to recommend you as designers and builders of outstanding kitchens. Many Thanks! Many thanks and congratulations on a great job. You and your team went out of your way to make sure all of our requests were taken care of in a timely fashion and everyone was very helpful. We are very happy with what we have chosen and your workmanship and attention to detail. 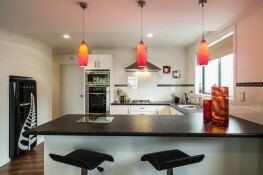 Many people have commented on our very functional yet stunning kitchen. I love working in it and baking and cooking doesn't feel like a chore. We are more than happy to recommend you and the team at Mastercraft to anyone. We can’t recommend Mastercraft highly enough. I am an impatient person and from the first appointment to the last visit by the installers everything was smooth. The first appointment largely got the plan settled and was followed up quickly by 2 or 3 plans around the ideas we had discussed. I felt listened to and accommodated all along the way. Nothing was too much trouble even when I changed my mind about colours – a couple of times!! Carol turned up with multiple samples and the change was sorted immediately. The installation was careful and competent; we couldn’t be more pleased and feel we have real value for money. The impact is great as many people use our house and all are blown away by the kitchen.